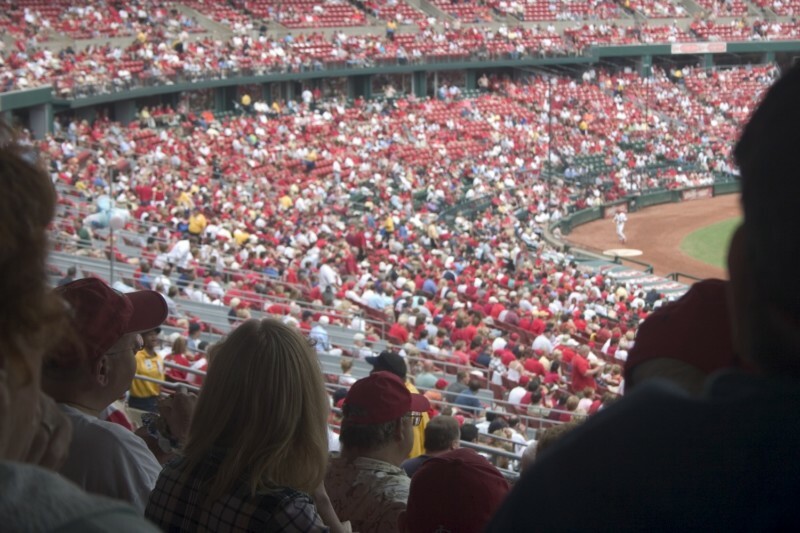 While the glamour of the NFL, the hard hitting of the NHL and the last second drama of the NBA often get thrust front and centre when thinking of US sports, the oldest of the pro sports – baseball – is perhaps also the most iconic. And there are few better ways to experience a taste of America than an afternoon at the ball park. 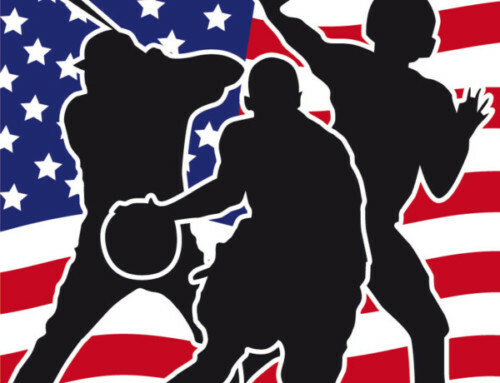 Baseball has been played in America in more or less its current form since the late 19th century. Its affordable ticket prices and relaxed yet energetic atmosphere make it a favourite for families and friends to spend time together, eat a hot dog and sip a beer. 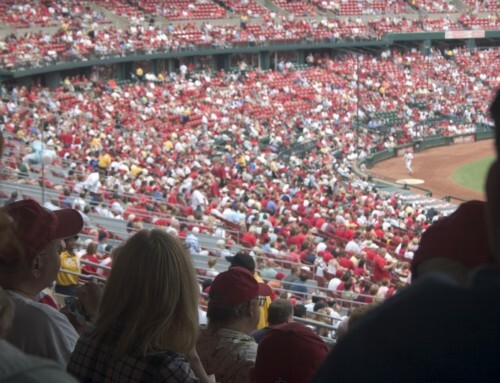 In the 1990s, the re-emergence of traditional style ball parks, purpose-built for baseball only, was a welcome development (away from the multi-use facilities that had become popular before that) and now America is awash with fantastic venues in which to catch a game. Here are five we’d recommend. The home of the San Francisco Giants since 2000, AT&T Park presents perhaps the best views of any ball park in the country. Perched next to San Francisco Bay, spectators get to enjoy the fresh sea air and stunning scenery while also enjoying the on-field action. San Francisco itself also offers holiday makers an embarrassment of riches as far as attractions and activities, from the Golden Gate Bridge to Fisherman’s Wharf and some fantastic fishing towns and vineyards only a short drive away. We also offer a San Francisco CityPASS, which can be the best way of seeing the major sights. The granddaddy of retro ball parks, Oriole Park at Camden Yards was the first of the modern day stadia to revisit that classic look and is the blueprint on which a whole host of successors are based. 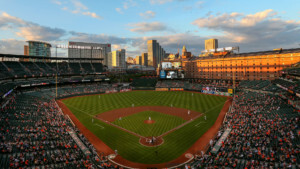 Using the natural resources of the Camden Yards warehouses as backdrops, the home of the Orioles is a mere stroll from downtown and the Inner Harbour, making it one of the best placed ballparks in the US. Baltimore isn’t just about baseball either. Positioned on a mainline railway, it provides a superb East Coast base from which to explore nearby Washington and Philadelphia, while New York is a mere 2 ½ train ride away. The city itself has fantastic neighbourhoods to explore, as well as the aforementioned Inner Harbour, and has countless fantastic bars and restaurants. 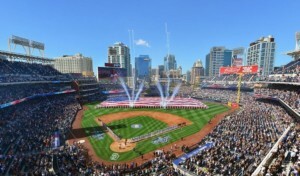 Combining fantastic sightlines of the game with breathtaking views of downtown San Diego, Petco Park frequently finishes atop polls as the best ballpark in all of baseball. Not only do fans get to bask in San Diego’s perfect climate, but Padres are also known for having some of the best food and beer selections in the Major Leagues. San Diego is also one of the nicest cities to visit on the West Coast. Aside from the already-mentioned fabulous weather, it also has the best zoo in America and the amazing Balboa Park – an urban oasis that’s home to 15 museums. On top of that are the stunning beaches lining its Pacific coastline, just a short journey from downtown. No piece on visiting great baseball parks would be complete without a mention of the Boston Red Sox famous home, which includes the legendary Green Monster. The oldest Major League venue still in use, it’s also one of the smallest, which just contributes to its raucous atmosphere and sense of intimacy. Boston is also one of the most vibrant cities in America and offers a huge variety of things to do for the out of town visitor. From the Freedom Trail to the historic Harbor as well as its diverse neighbourhoods (including a wonderful Little Italy), Beantown has something for everyone. It also is included in our CityPASS offerings, giving you a discounted, priority access to the likes of the Aquarium and a harbour cruise. Make sure you also check out our ‘5 things to do in Boston’ article here. 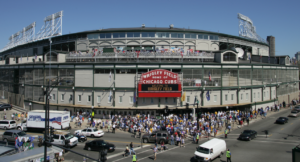 Home of the current MLB Champion Chicago Cubs, Wrigley Field is another ballpark steeped in history. Sitting in Chicago’s North Side, its neighbourhood location and ivy-covered infield gives it a unique feel, along with a breeze often coming in off Lake Michigan. Chicago is one of the great American powerhouse cities, presenting architecture, activities, attractions and sense of history for holiday makers to enjoy and explore. Also a CityPASS city, Chicago has a wealth of shopping and dining options and if you really want to see the Windy City in all its glory, a helicopter tour is a must! For more information on a visit these or any other Major League city, give us a call or drop us a line and we’d be glad to hook you up!